RENO, Nevada – While stepping through the wreckage, Eastern Washington was already picking up the pieces Saturday night. The Eagles’ second-half collapse in the Big Sky Conference Tournament title game was over for barely 10 minutes when coach Shantay Legans was looking ahead. Short-term, long-term and everything in between, Legans was focused on the future. In the near term, that should mean some sort of postseason tournament for a team that overcame doubts – by others, not themselves – plus injuries and youth to win 20 games and come within a game of the NCAA Tournament. “I’m disappointed, and I’ll probably look at this game a thousand times,” Legans said after the Eagles blew an 11-point halftime lead and fell 82-65 to Montana. Opportunity for self-improvement will happen as soon as this week, probably in the College Basketball Invitational, though Legans is hoping for an NIT bid for the Eagles and Big Sky career scoring leader Bogdan Bliznyuk. “I’m crossing my fingers – I hope we aren’t finished,” Legans said. “Twenty wins is a great season and we deserve to play more. 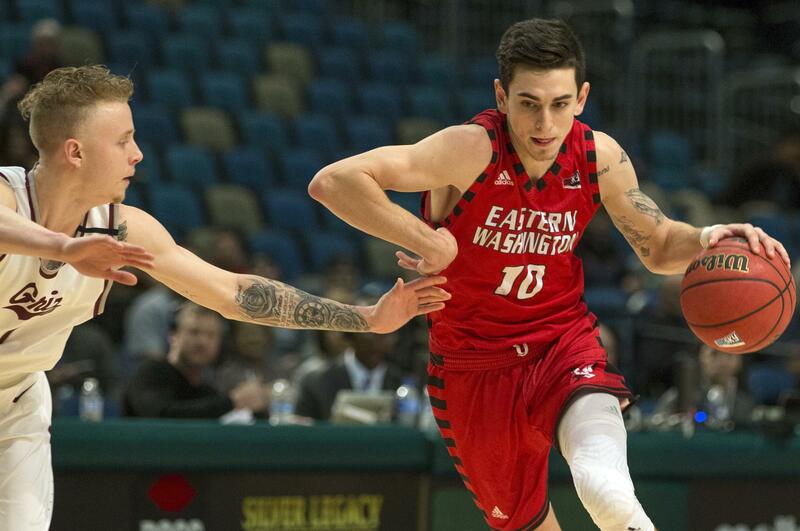 Another postseason bid would make it four in a row for Eastern, a streak that began in 2015 when the Eagles reached the NCAA Tournament by defeating Montana in Missoula. The past two years, Eastern played in the CBI. The Eagles, who lost at Wyoming in the first round last year, claimed a first-round win over Pepperdine in 2016 before falling at Nevada in the second round. Looking further into the future, Legans said he was impressed with the growth of his younger players, the ones who must fill the void left by Bliznyuk. In particular, forward Mason Peatling and freshman guard Jacob Davison stepped up big in the latter part of the season. “Our young guys are going to learn from this, and they’ll come out and do a great job next season,” Legans said. “We’ll get back here next year, because I know we’ll have a good team. Published: March 10, 2018, 8:58 p.m. Updated: March 11, 2018, 7:48 a.m.